The paper deals with three main publications at the beginning of the coming into being of petroleum geology contributed by the Austrian/Bohemian expert Hans Höfer von Heimhalt (1843–1924) in 1877, 1888 (often reprinted and translated in many languages), 1913–1919 in the context of his life and academic career in the Habsburg Monarchy. Trained at the Mining Academy in Leoben (Styria, Austria) and as professor at different mining academies within the Habsburg Empire and integrated in the thought collective of the Imperial Geological Survey in Vienna, Höfer’s interest started with a local perspective on petroleum not in Europe but in North America after the Austrian Trade Ministry mandated his visit to the World Exhibition in Philadelphia 1876. There he encountered the new approaches in petroleum findings in the USA and published his first book about petroleum in North America (1877) in which he established his thesis about the causes of the origin and formation of petroleum, the anticlinal theory at the basis of his regional insight. Höfer’s further books on petroleum represent the change from local surface indications to systematically applied petrology, sedimentology and stratigraphy to the search for hydrocarbon accumulations. 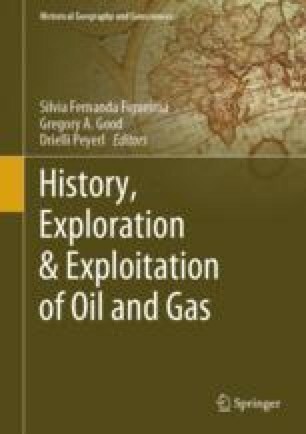 Modern exploration methods and a worldwide mapping of all oil-known occurrences showed the global interest in this matter and the opening of doors to modern universal geochemical methods of exploration and the close connection between theory and practice, field geology and experiments.